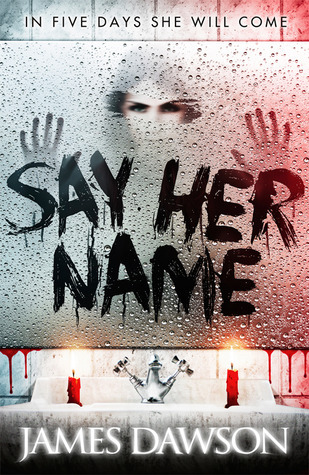 'Say Her Name' is written by James Dawson who, prior to becoming a writer, was a Teacher for 8 years and specialised in PHSCE. He has also written non-fiction texts for boys which aim to guide them through puberty and relationships. Plus, his teen horror fiction and non-fiction writing led to him being nominated for and winning the Queen of Teen award in the summer of 2014, making James the first "Boy Queen". Roberta 'Bobbie' Rowe is not the kind of person who believes in ghosts. A Halloween dare at her ridiculously spooky boarding school is no big deal, especially when her best friend Naya and cute local boy Caine agree to join in too. They are ordered to summon the legendary ghost of Bloody Mary: say her name five times in front of a candlelit mirror, and she shall appear... But, surprise surprise, nothing happens. Or does it? The cover suggests a story of blood and gore, in which something is going to try and get someone. I thought that the cover design complemented the story and its title. Dawson has written this with a young adult/ teen audience in mind. That said, there were moments that were a little spine-tingling for me as an adult and he does use language and punctuation well, to create tension and build suspense. There are moments which do make your heart race just a little bit faster. Bobbie as a main character was really likable and normal; she was a lover of books and a bit shy around those she doesn't know well, which appeals to many of us book folk! She also has a common sense attitude to life around her and even amidst this horror story, does not aimlessly run around panicking. She is definitely an enjoyable female lead. 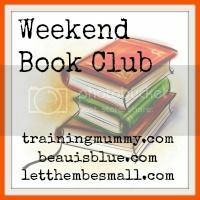 I would definitely recommend this to those who like to read books aimed at young adults and teens, or to those of us who enjoy a scare (but still want to be able to go for a wee in the middle of the night).